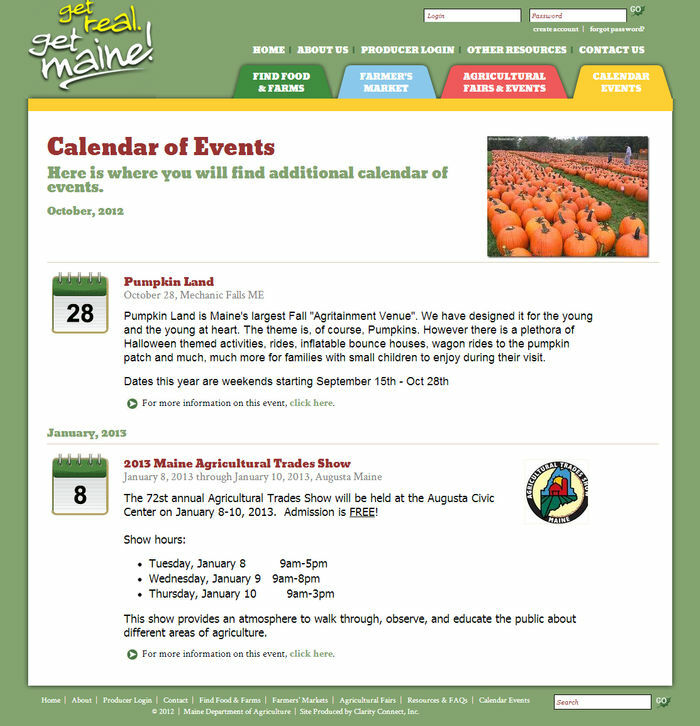 Organized by the Maine Department of Agriculture, GetRealMaine.com promotes local farms, farmers markets, fairs and other agritourism. 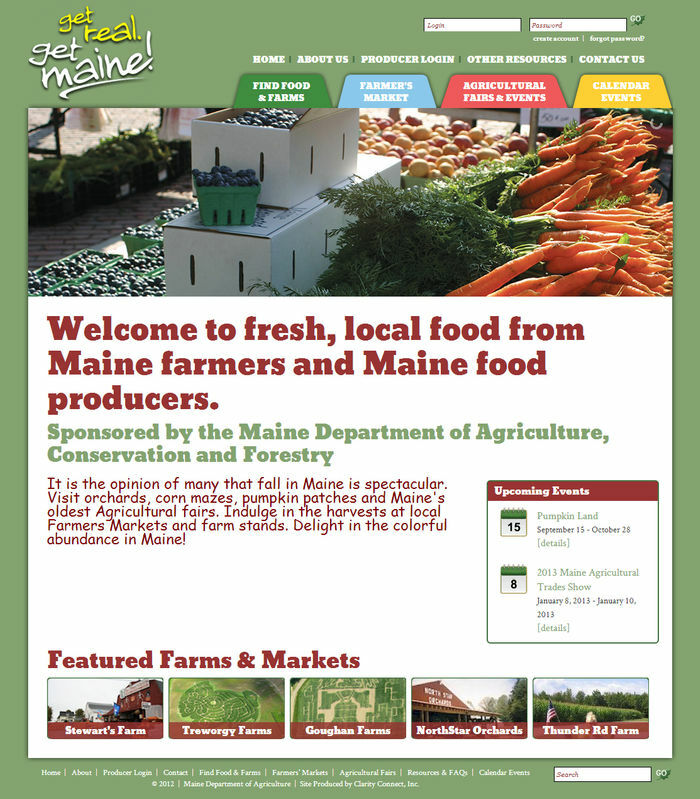 Maine Department of Agriculture contacted Clarity looking to redesign and add significant new functionality for GetRealMaine.com site. After showing them the Clarity Console Tools™ and how easy it would be for them to update there site themselves they were ready to get started. Farmers' Markets and Farm Producers can login to create and modify their business profile that displays in the directory and in relevant search results. They can add descriptions, select products and services offered, hours of opertation, images, map links and more. Site visitors can search for farms based on location and/or services offered and view farmers' markets by county or city/town. Additionally, farms and farmers' markets can complete online applications to get started with this program to help promote their businesses.